Acupuncture: Acupuncture is based on the belief that health is determined by the balanced flow of vital energy (qi) through the meridians of the body. By restoring proper flow of qi, we can restore balance to the system. By utilizing small acupuncture needles or the use of our laser we can stimulate certain points on the body to optimize and support the flow. Acupuncture is excellent for the treatment of neck and back pain, shoulder tension and headaches, anxiety, depression, feeling overwhelmed as a few of it’s many benefits. Botanical Medicine: Medicinal herbal formulas in the form of tinctures, teas and capsules can be safely used to treat many common conditions. There is extensive research that shows that herbal medicines are both safe and effective in alleviating many clinical conditions compared to synthetic pharmaceuticals. Clinical Nutrition: Food is a powerful medicine. Changes to our diet and nutrient supplementation can have a major impact on the treatment of acute conditions and the treatment and prevention of chronic disease. A good diet is fundamental to any health and wellness treatment plan and understanding how certain foods can be both beneficial and therapeutic for medical issues is extremely important, as well as knowing the foods that can be detrimental to our health. Nutritional IV therapy and B12/B complex injections: Nutritional IV therapy is used to increase the serum concentrations of nutrients that are readily available to the cells more rapidly then oral vitamins alone. IV Nutritional therapy allows the affected tissue of the body to begin to heal rapidly and allows vital organs such as the brain and liver to receive the vitamins and minerals they need to function properly. B complex IM injections assist the body in rebuilding red blood cells and to help with nerve health and to increase energy. This is a simple, effective way for those with chronic or acute conditions to begin to feel better rapidly. Many other specialty IV’s are also available including High Dose Vitamin C, and Glutathione. Each IV is tailored to the patient’s needs. Homeopathy: Homeopathy is a form of therapy intended to stimulate an individuals internal healing process with the help of specially prepared and highly diluted substances from plants, minerals, and animals. Remedies match the physical, mental and emotional state of the patient. We utilize homeopathics to treat acute (sudden) illnesses and longer standing chronic physical and mental illnesses. Hydrotherapy: Hydrotherapy is increases the body’s ability to eliminate waste products while tonifying the digestive organs, improving nutrients received into the blood and increasing the desirable elements of blood such as red blood cells, white blood cells, and oxygen. This is accomplished through the manipulation of water using change in temperature, pressure/friction, location, or duration to increase circulation throughout the body and especially to the organs. Glutathione IV therapy: glutathione is the most powerful antioxidant in the body that is best given IV as it is poorly absorbed orally. Glutathione helps with anti-aging, stress, adrenal support, allergies, preventative wellness, athletic recovery, auto immune dz. , chemical sensitivity, addiction recovery, diabetes, COPD, Parkinson’s, , cardiovascular disease and heavy metal toxicity to name a few. Dr. Berkner has extensive knowledge and history helping people work though their addiction. She has helped thousands of patients while working at The River Source in both Casa Grande and Arizona City and lead the medical team in Arizona City for almost 4 years. During this time she was able to help patients regain their lives by being both compassionate and direct, allowing patients to understand their best interest is important and they are held accountable to working toward this goal. 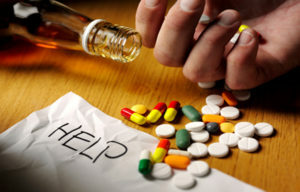 Addiction is defined as a chronic, relapsing brain disease that is characterized by compulsive drug or alcohol seeking and use, despite harmful consequences. It is considered a brain disease because drugs and alcohol change the brain, both structurally and how it works. These changes can be long lasting and can lead to other self-destructive behaviors. The inability to limit the use of a substance (alcohol, opiates, benzos, cocaine, methamphetamine as examples) leading to impairment and potentially poor judgement and action. Craving or compulsion to use the substance. Recurrent use of the substance leads to tolerance and therefore the need for greater quantities or stronger doses. Attempts to stop result in withdrawal symptoms which may include any of the following: shaking, irritability, anxiety, headache, body aches, restless legs, nausea, vomiting, diarrhea, hallucinations. Recurrent use of the substance affects home life, family, work, school, friends. Commonly there are feelings of shame, guilt, hopelessness, self-anger, anxiety or depression. Either type of treatment is valuable because it is a path towards a better life. Often less expensive than inpatient treatment. Allows you to continue to work, go to school, be with family. Nutritional IV and glutathione IV drips to help the body and mind heal. Acupuncture to work on balance, excellent for anxiety, depression, pain. Work with the doctor to help with underlying physical issues that have the potential to be the reason for increased use. Amino acid therapy to work with the neurotransmitters in the brain. 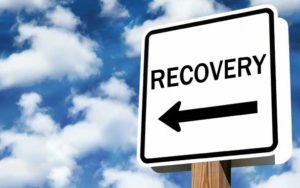 Benefits of inpatient: this treatment is best for extreme addictions, such as methadone, or for those that need 24 hour structure. Naturopathic Medicine is a unique and comprehensive approach to improving health and treating illness. Focusing on prevention, and using natural substances and treatments, naturopathic doctors support and stimulate the body’s ability to heal itself. The primary goal of naturopathic treatment is to address the cause of illness, rather than simply treat or suppress symptoms. The patient is seen as a whole person and the physical, mental, emotional, and spiritual dimensions are taken into account when diagnosing and developing a treatment plan for the patient. What are some treatments that may be used? Q: What are some treatments that may be used? What types of health problems can be treated? Q: What types of health problems can be treated? Virtually all chronic and most acute conditions may benefit from treatment by naturopathic doctors. People of all ages can be helped. Common complaints seen by Dr. Berkner include; addiction, fatigue, chronic colds and flu, digestive problems, high blood pressure, depression and anxiety, PMS, menopause, high blood cholesterol, diabetes and excess weight. What can I expect / how does it work? Q: What can I expect / how does it work? The goal of the naturopathic doctor is to understand the patient and all the factors which impact on his/her health. Like your medical doctor, a naturopathic doctor will take an in-depth patient history, and seek information from a physical exam and laboratory tests. In contrast to your medical doctor, a naturopathic doctor may spend far more time with you as a patient, use different tools, and will operate under differing philosophical principles based on the belief in the healing power of nature and including treating the whole person, finding the root cause, doctor as teacher and prevention as the best medicine. How are naturopathic physicians trained? Q: How are naturopathic physicians trained? Naturopathic medical students study the same basic and clinical sciences as do other medical students, and in addition, a full spectrum of natural medicines and therapies. How do naturopathic physicians diagnose and treat people? Q: How do naturopathic physicians diagnose and treat people? •standard medical diagnostic techniques such as extensive health history, physical examination, blood tests, radiology, and other standard laboratory procedures. •holistic interpretation in order to find the underlying cause of the disease process. Q: How do I refer friends and family? We’re happy to receive new patients and are always grateful for your confidence. Just contact us at 480-296-6173 to book an appointment in the Queen Creek office.